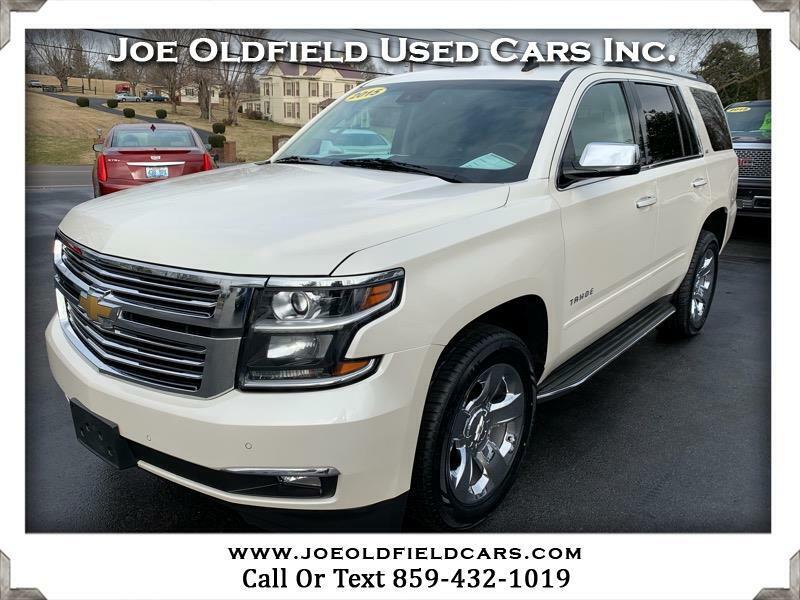 Used 2015 Chevrolet Tahoe LTZ 4WD for Sale in Mt. Sterling KY 40353 Joe Oldfield Used Cars Inc. Very nice, well equipped 2015 Chevrolet Tahoe LTZ! Clean Carfax report with good service history! This Tahoe comes equipped with a lot of nice features like navigation, 3rd row seating, sunroof, DVD, backup camera, BOSE stereo with Bluetooth/AUX/USB/CD/SAT, drive assist, heads-up display, adjustable peddles, 20in chrome wheels, NEW tires, heated/cooled leather seats, heated steering wheel, heated second row seats, step bars, power hatch, third row seats, backup camera and more! Very clean and runs great! Please call for more information or stop by to test drive! We also offer great finance and warranty options!